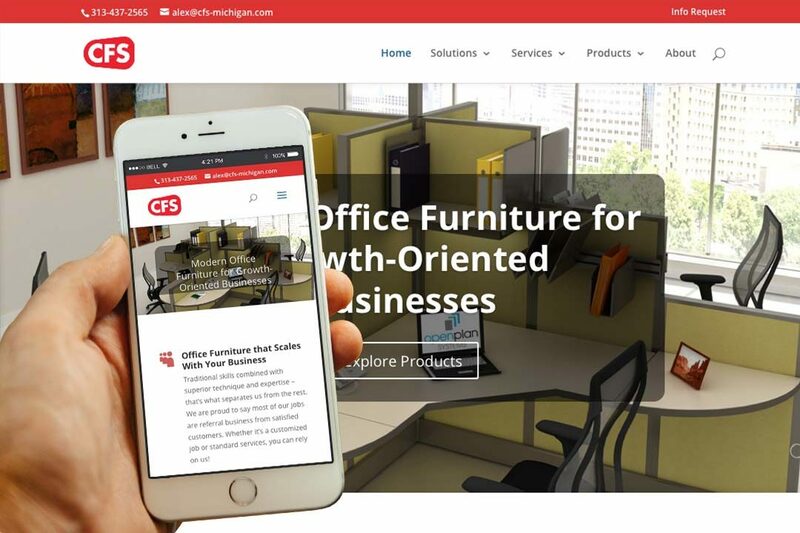 CFS Michigan • IX Publishing, Inc.
CFS Michigan is a provider of modern office furniture. Designer quality and cost effective, their products include walls, panels, desks, and seating solutions, designed to adapt to any environment. The company offers space planning, enabling you to maximize your office space for the best productivity and convenience. They also provide furniture installation. Much of their business comes through referrals from satisfied customers. CFS Michigan is a proud member of the Small Business Association of Michigan.